Sean Dyche has admitted that he has a strong connection with Liverpool ahead of this weekend’s home fixture against Burnley. 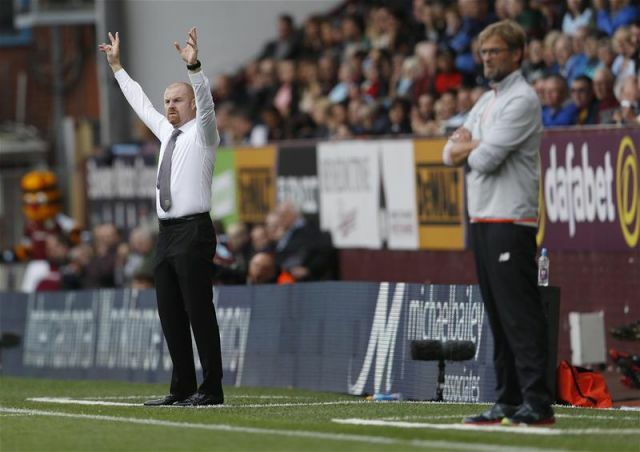 A young Dyche would have witnessed the Reds in their pomp, dominating throughout the 1970s and 80s. “My first recollection of them was at seven years old, then at about eight or nine when you start zooming in on what it’s really about,” he told Lancs Live. We can’t fault Dyche for his taste in players as Kenny Dalglish was really putting the goals away in the late 70s. His three best ever scoring seasons for the Reds was actually 1977/78 through to 1978/79; bagging 78 times during that period. The Burnley boss was never fortunate enough to travel to Anfield in his youth but he did managed to play on the pitch. He featured for a local Northampton side before Phil Neal’s testimonial match in 1985. “I got to play in front of the Kop before Phil Neal’s testimonial, they took [a] local Northampton team we went up there and got 15 minutes each way,” he continued. “I was a 70’s child so everyone was a Liverpool fan but I lived in Kettering so I couldn’t get up there all the time, I was a distant Liverpool fan. I did meet the now Sir Kenny a couple of seasons ago and that was a big moment for me because as a child he was my favourite. Hopefully Dyche gets a bit reminiscent this weekend and tells his players to roll over for the Reds as we continue to charge for the Premier League title! A win for Liverpool this weekend takes us back to within one point of Manchester City who beat Watford 3-1 on Saturday. It’s vital that we keep up with City and hope they hit a bump in the road soon.